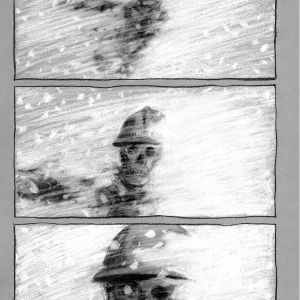 Image Comics is pleased to announce the September release of WHITE DEATH, a hardcover graphic novel by Robbie Morrison (2000 AD) and Charlie Adlard (THE WALKING DEAD). 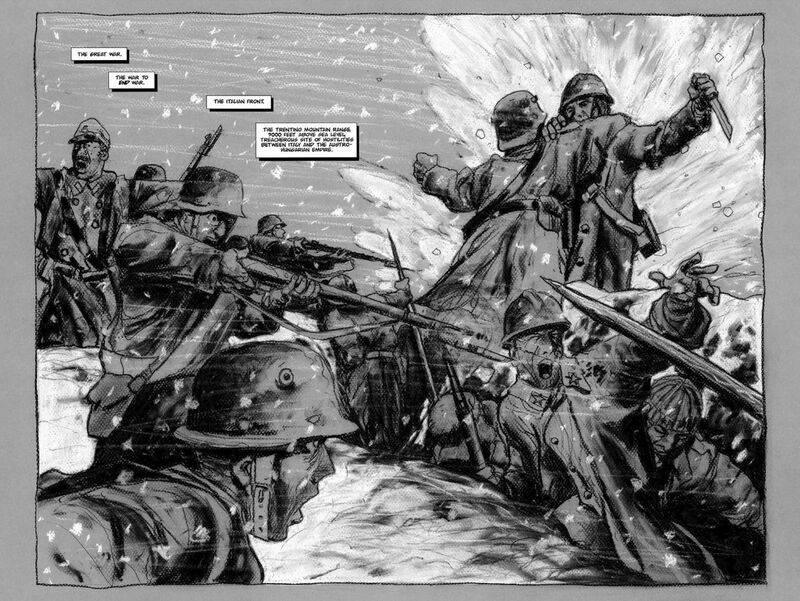 Set in the Trentino mountain range, WHITE DEATH follows Pietro Aquasanta, who, as a rifleman in the Italian army, returns to what was a realm of wonder adventure in his childhood during World War I, but has now become a sterile world of death and despair. 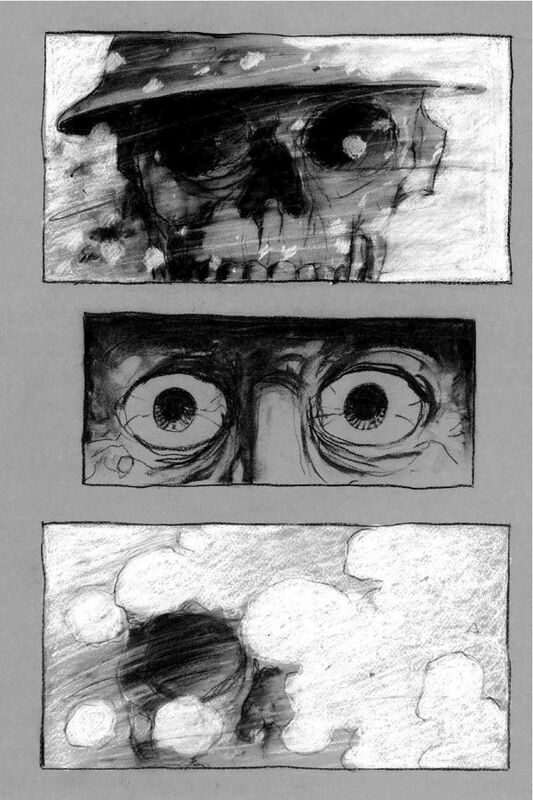 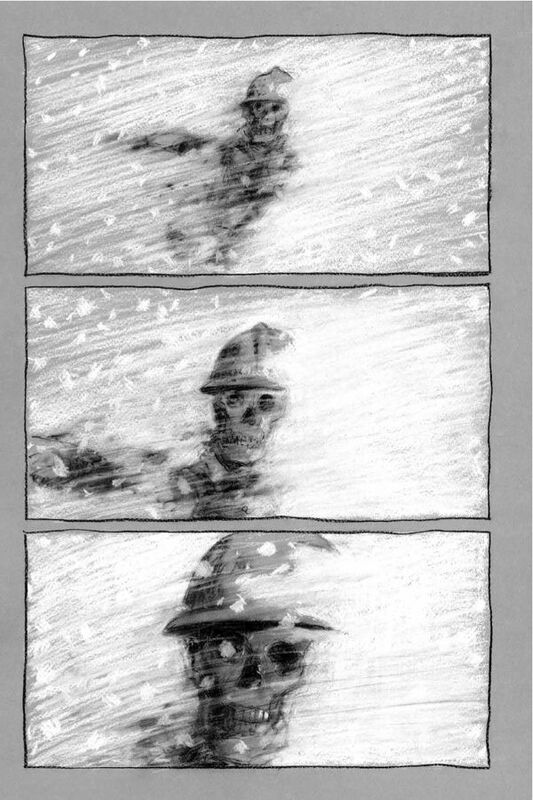 Heightening the tone of isolation and destruction is Adlard’s art — smudged and scratchy black charcoal and white chalk on a stark gray background that depicts the horrors of trench warfare and hand-to-hand combat. 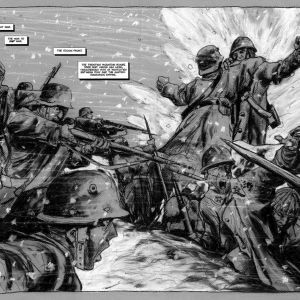 WHITE DEATH pre-dates Adlard’s arrival on the comics phenomenon THE WALKING DEAD, but his work on it informed the direction of his career. 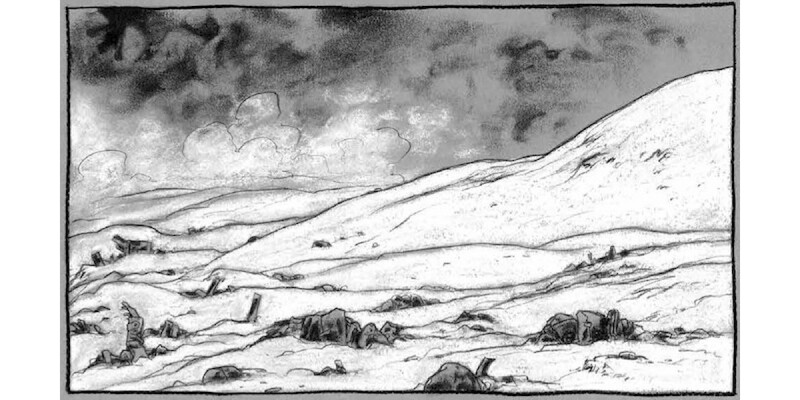 WHITE DEATH is a 104-page black-and-white hardcover graphic novel. 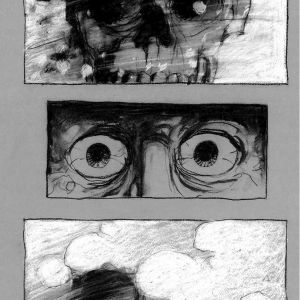 It will be in comic book stores on September 3 and bookstores on September 16.